A village sign. 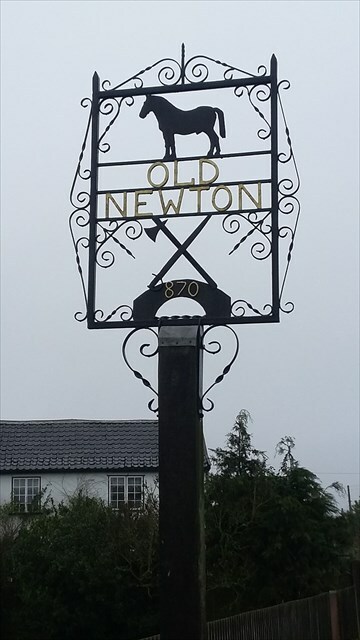 Not the most picturesque village sign, but interesting metal work makes up the name of this village. Just north of Stowmarket, Old Newton is a relatively large village for the area. The Village sign is opposite an old pub, now turned into a takeaway restaurant of some sort, and sits on a crossroads in the middle of the village. As you drive past it is easy to miss, as it is a metal worked sign just naming the village, and does not have the sort of artwork typically found in village signs in this area of suffolk.